If you're looking for quality leather products that will stand the test of time, you should check out David Munson's shop, Saddleback Leather. Based in Keller, Texas, they use the highest quality full grain leather as well as top of the line rivets and threads. My favorite item is this Dry Bag which is insulated to protect your camera or electronics or as they say on their site, could be the "coolest lunchbox at your kid's school." All of their goods have a 100 year warranty so you know you're getting an exceptional product. For men, that's a big plus as these pieces will last a lifetime and thensome. 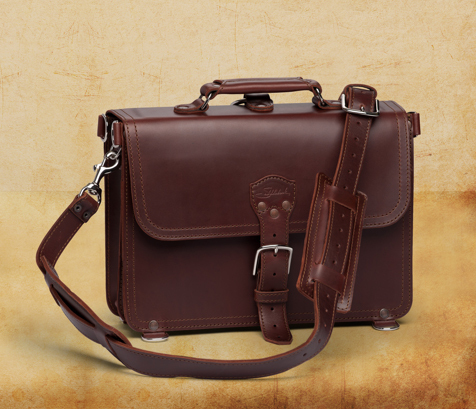 Find their Classic Briefcase here. A big seller are the MacBook and iPad sleeves and moleskin leather journals. These are timeless, so you won't have to worry about staying in style. 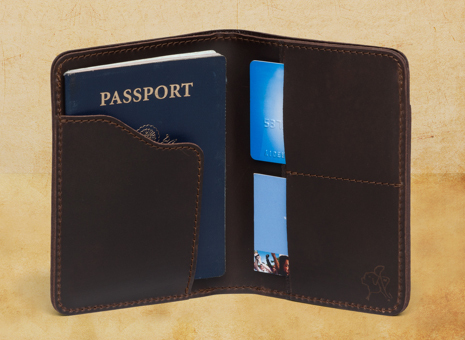 I love my passport so it makes sense to give it a home that's cozy and fashionable. I'm really liking the look of this one and I love the color...you can find it here.